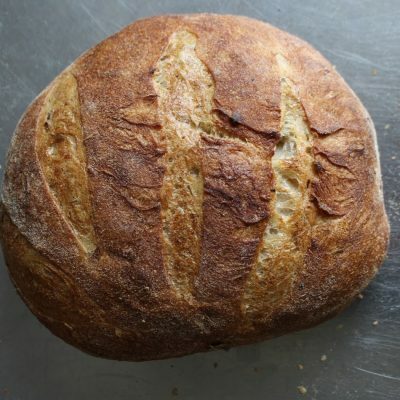 Naturally leavened with sourdough, this hand shaped, whole grain (80% whole wheat) bread has flax and sunflower seeds inside and an eye catching crust topped with sunflower seeds. 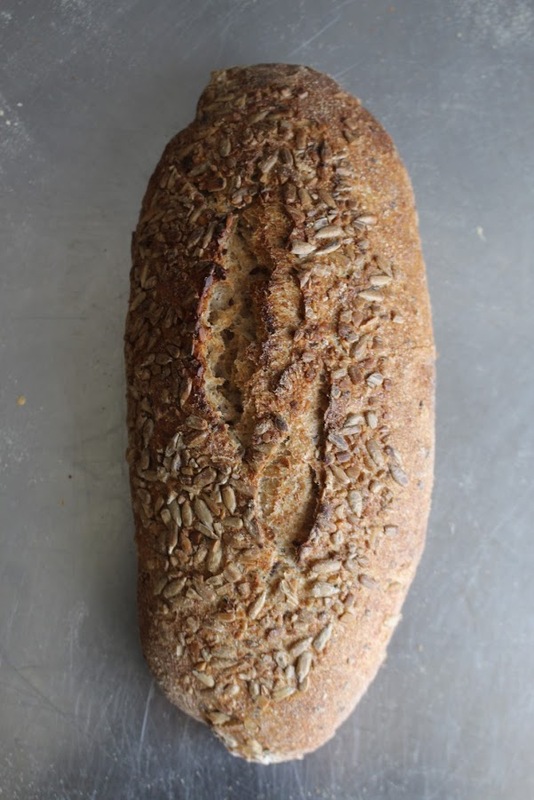 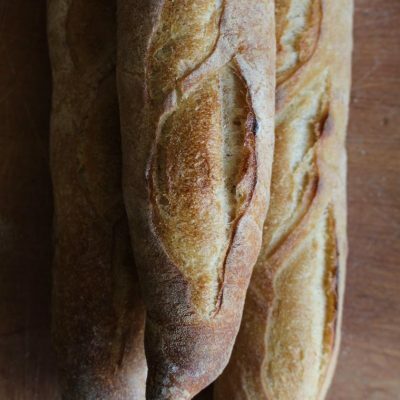 With the whole grain and seeds, this bread has become a staple for health conscious consumers with its complex texture and flavor. 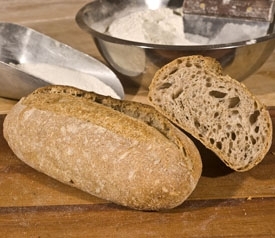 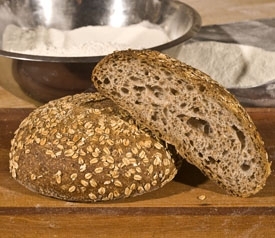 Ingredients: Stone ground whole wheat flour, unbleached white flour, filtered water, natural sourdough for leavening, organic sunflower seeds, organic flax seeds, palm fruit, unrefined sea salt.